Prices and special offer news. 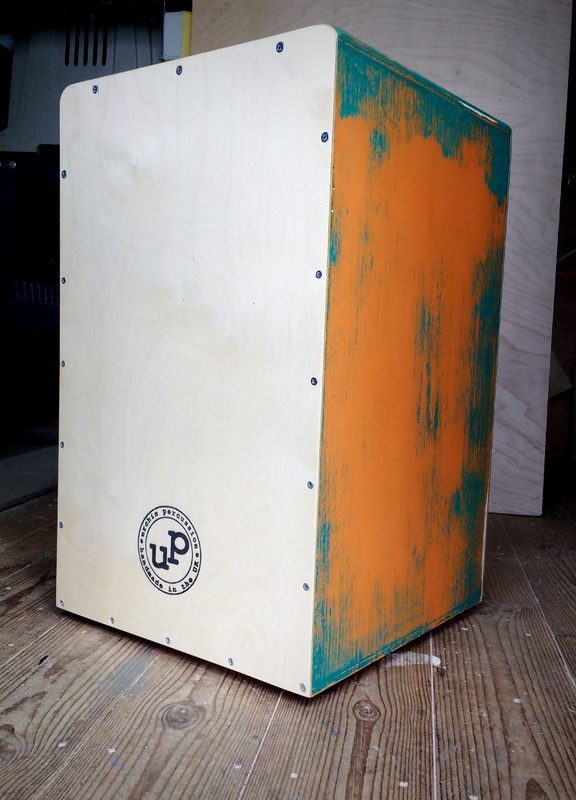 A couple of custom finish Urchin Snare Cajons. Currently these are available at the standard finish price of £120 + P&P. First up is a gold sparkle over Oxford green, then we have a distressed / vintage turquoise over orange. Take a look 🙂 If you’d like to buy either of these cajons, please drop us a line. Thanks! 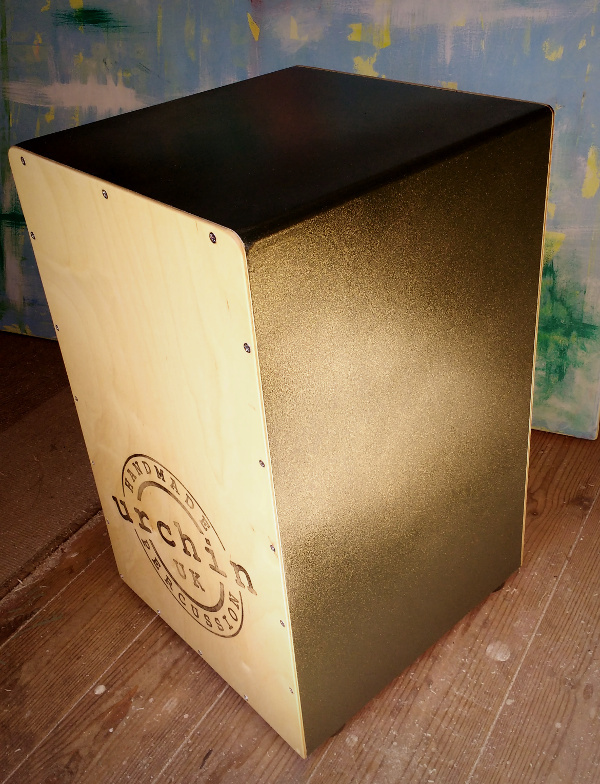 Urchin Percussion instruments – cajóns, stomp boxes and more – are designed and hand made in Lincolnshire from high-quality materials. Click on a thumbnail for more information, or visit our online shop.